iOS 7.1 vs iOS 7: what's new in Apple's latest OS update? If iOS 7 was a fresh coat of paint for Apple's operating system, then today's iOS 7.1 release is a much-needed touch up six months into the redesign. This essential software update fixes a number of unresolved bugs that complicated owning an iPhone 5S, iPad Air and iPad mini 2.
iOS 7.1 also features a handful of user interface tweaks that alter the non-skeuomorphic design. They're still flat, but a little rounder than before. We pored over the official release notes and tested out iOS 7.1 to find that while there aren't a lot of major changes, its ability to remedy iOS 7 glitches makes it worth downloading immediately. The most pervasive glitch is what Apple is calling "an occasional Home screen crash bug." 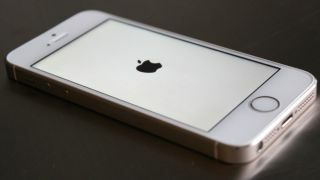 Users have more aptly nicknamed it the "white screen of death" glitch. By either name, it's an annoying software defect that randomly forced iOS devices into a soft reset. A blank screen with the Apple logo would suddenly show up for no apparent reason. While users have complained about this task-closing glitch since September 2013, Apple hasn't been able to fix it until now. It first acknowledged the problem and promised a solution in January. The company didn't reveal why this glitch occurred, but it's thankfully gone according to our tests today. Six months is far too long to wait for such a patch. Apple is putting iOS in the Car, even though its infotainment ecosystem doesn't go by that more direct name anymore. CarPlay is enabled through iOS 7.1 on any iPhone 5S, iPhone 5C or iPhone 5 as long as it's paired with a compatible vehicle. So far that includes the Volvo XC90 SUV, Mercedes-Benz C-Class and the Ferrari FF with more car models and manufacturers to come. The release notes indicate that CarPlay brings phone, music, maps, messages and third-party audio apps to the hands-free infotainment center. Users can also control everything through Siri or via the car's touchscreen, knobs and buttons. Flat circles are in and skeuomorphic boxes are out, according to Apple's iOS design tweaks. The look and feel of iOS 7.1 makes such alterations to the call and power-off screens. The answer and end button are now green and red circles. These smaller but more fashionable pair match the caller's round photo icon. The same treatment was given to the revised power off slide bar. Holding down the sleep button brings up a new white and red button, replacing the ugly reddish-orange bar. All animations have been sped up too, making iOS 7.1 instantly faster when sliding through and opening up apps. It's almost as if the processor got a speed boost without the necessary hardware upgrade. Siri is easier to operate in iOS 7.1. Before, Apple's personal assistant would often cut you off mid-sentence, complicating it as a hands-free solution. Now, holding down the home button manually controls Siri so that you can drone on and on without having her interrupting your bloviating commands. Apple's release notes indicate that its Touch ID fingerprint recognition system has improved with iOS 7.1. Users have previously complained that the scanner forgets their fingerprints. The Camera and Calendar apps are the final tweaks Apple is highlighting in iOS 7.1. The iPhone 5S automatically enables HDR photos through the Camera app, while Calendar brings the much-needed ability to view events by month. All of these upgrades aren't significant and few iPhone users can take advantage of CarPlay, but today's minor update is a step in the right direction as we await bigger changes for iOS 8 this fall.